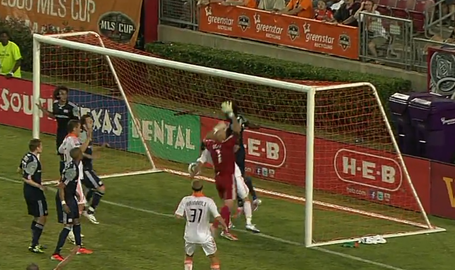 The Houston Dynamo beat the New England Revolution 1-0 on Sunday night. Here's some post match audio from Cam Weaver, Danny Cruz, Geoff Cameron, & Coach Dominic Kinnear. Music by Johnny Cash, INXS, and Mimi Page.